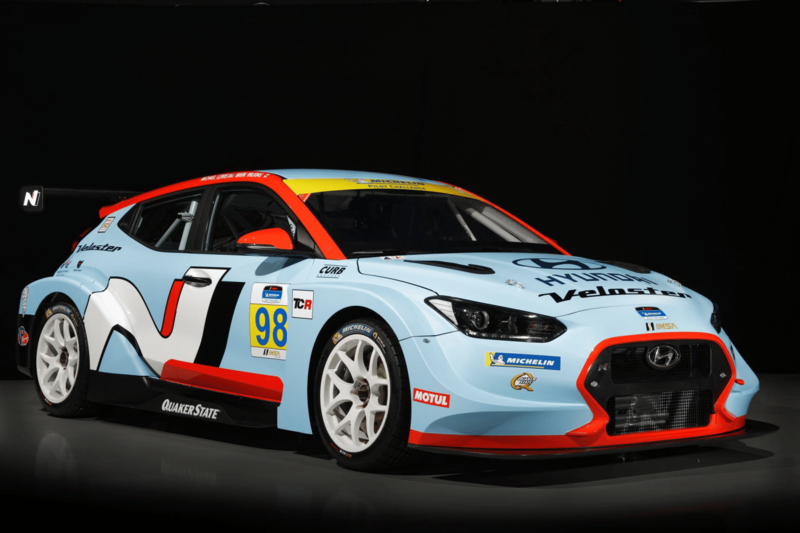 YOU may not be able to buy the road going Hyundai Veloster N here in Australia, but if you’re a racer, with big plans to take on the new TCR series, why not throw a cat among the pigeons with the race car version. The Hyundai i30 N TCR, Honda Civic Type R TCR, Volkswagen GTI TCR, and the Audi RS3 LMS TCR are all set to take part in the Australian TCR race series, with the Veloster version set to join the fray globally. Hyundai Motor America used the North American International Auto Show in Detroit to unveil its new racer, which in that country will compete in the fiercely competitive 2019 International Motor Sports Association (IMSA) MICHELIN Pilot Challenge. But it can be purchased and raced anywhere in the world, including here in Australia (at a cost of around $215,000). And it’s designed by the same Hyundai Motorsport Customer Racing Team that developed the championship-winning i30 N TCR. Like its i30 stablemate, the Veloster N TCR is also produced at Hyundai Motorsport Headquarters in Alzenau, Germany. The two cars share around 85 percent of their core components, including the 260kW 2.0-litre turbocharged engine. It should be noted that priority for initial Veloster N TCR deliveries, however, will go to customer teams in markets where the Veloster N road car is offered. THE new 2019 Ford Mustang EcoBoost has landed in Australia, with the turbocharged 4-cylinder variant bringing AEB, increased torque, an advanced 10-speed paddle shift auto option and B&O Play audio.